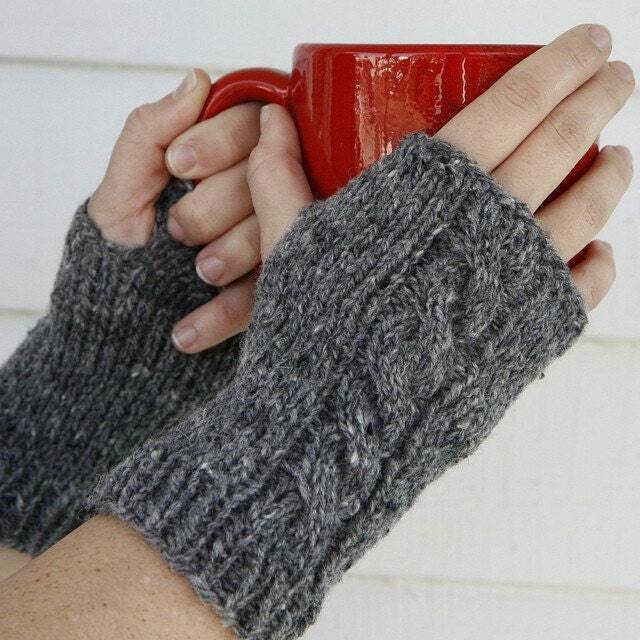 Keep your hands warm with this pair of grey fingerless mittens. The mittens are handknitted with 100% new wool, giving them a rustic feel. The cable running down the top of the glove adds a beautiful detail. Great for holding your cup of coffee or typing at the computer.